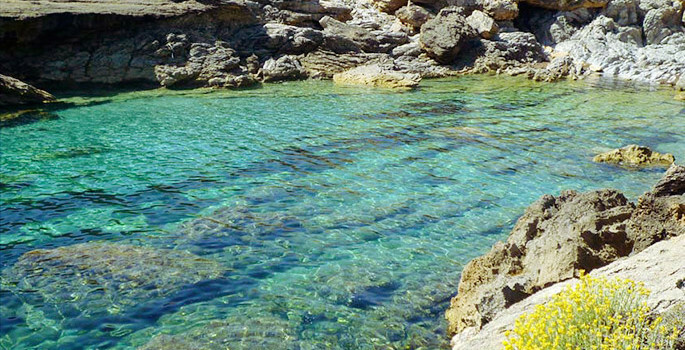 Cala Estreta it is considered a diamond of the Mallorquian coast. It is a virgin beach that involves rocks and sand, creating a paradisiac atmosphere. 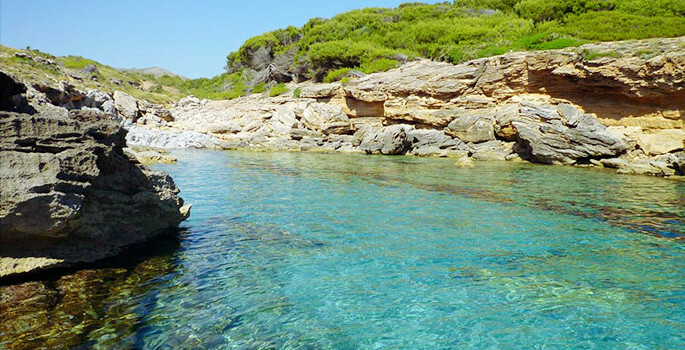 Is small and narrow, with clear waters and a spectacular natural setting. Is difficult to access by land, the main access is done by boat. Because of its unique size and morphology only few boats can be there at the same time. Surrounded by small cliffs becomes a perfect retreat the days when the waters are scrambled. 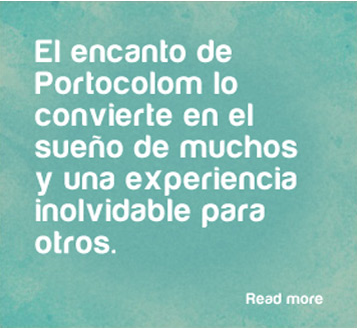 Being close to Portocolom becomes the perfect place for an outing. 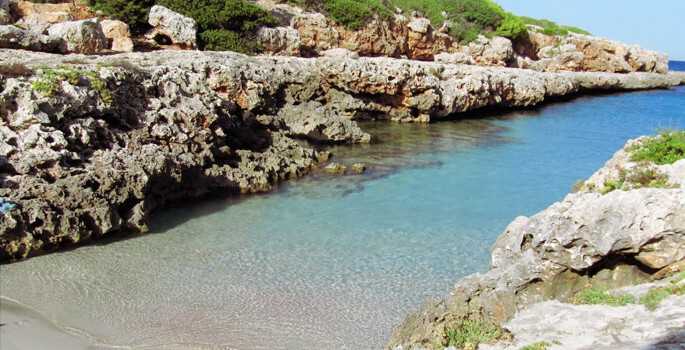 At the bottom of the cove is a small unspoilt beach of white sand with stunning views and surrounded by nature..